ORONO, Maine - The University of Maine women's ice hockey team battled to a 0-0 tie with the University of Connecticut Huskies on Saturday afternoon in the Alfond Arena. Maine's offense went to work, peppering 33 shots on goal against Morgan Fisher, but couldn't crack through. Tereza Vanisova, the third star of the night, had eight shots on goal for the Black Bears, leading both teams in attempts. Carly Jackson was strong in net, posting 21 saves for her third shutout of the season and seventh of her career. All of Jackson's shutouts this season have come in January against Women's Hockey East opponents. The Black Bears defense matched the effort in front of Jackson, blocking eight shots on goal. Over the series, Maine blocked 24 UConn shots, with senior captain Alyson Matteau with six blocks in two games. Maine's penalty kill held strong in the game, killing the first penalty in regulation and earning two shorthanded shots on goal. In overtime the Black Bears were whistled for a penalty, but the PK unit drew a penalty to have teams skate 4-on-4 in the extra frame. The last time Maine earned a 0-0 tie was on Jan. 18, 2013 against Vermont at Alfond Arena. 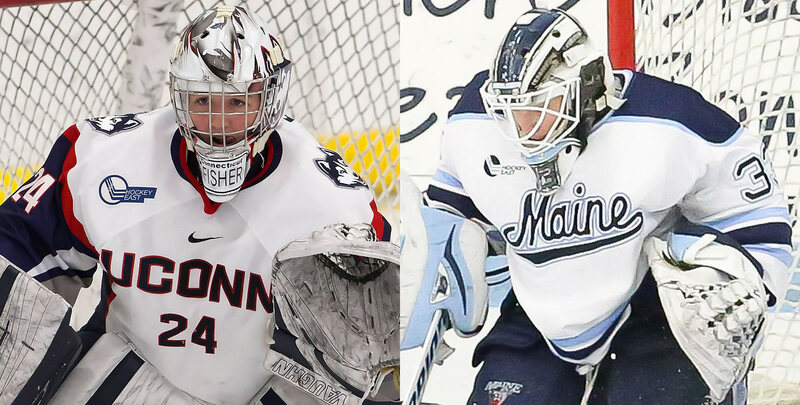 In goal for the Black Bears was Brittany Ott, who turned away 26 shots in the draw. The Black Bears will head to New Hampshire next weekend to take on the Wildcats on Saturday, Feb. 2nd and Feb. 3, with puck drop for both games set for 2:00 pm.